There are few approaches to wiring up your security cameras and video recorders (DVR/NVR/Hybrids). In the next few segments, we will look at the study of each cabling method and the science that entails. Between the length/type limitations and environment situations I would personally proceed to a different route for my cabling options. Now we’re talking! Siamese cable is the professional approach to manifesting your power, video and audio for your analog surveillance scheme. Comprising of (2) different types of wire bonded together by the jacket, which can easily be separated if needed. 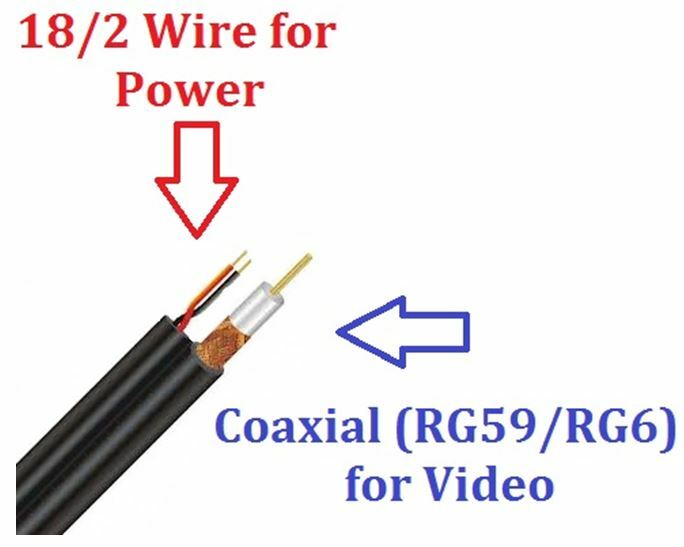 Commonly consisting of RG59 coaxial for video and 18/2 (gauge/pair) stranded for power. Siamese provides the efficiency and convenience of a single run for each camera (or microphone). Siamese is heavily shielded, unlike plug and play cables, so it’s more durable and can be run at longer distances (up to 1000 ft. without the need for a repeater) and less susceptible to interference. 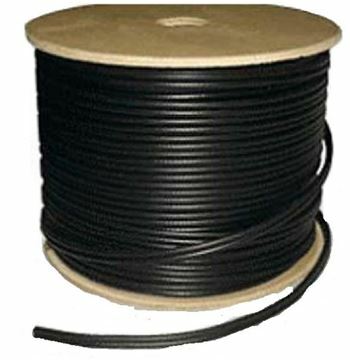 Commonly, Siamese cable can be found in increments of 500ft or 1000ft. Siamese cable is a little more involved to install due to the necessary attachment of the fittings. Many variations of Siamese does exist for different install scenarios. Cat5 cabling, also known as Category 5, is an older type of network wire. Cat5 cables were made to support “theoretical” speeds of 10/100Mbps. This type of CAT consists of (8) individual wires coming in (4) pairs. Since Cat5 is an older type of cabling, you probably won’t see them littering store shelves, but you may have some Cat5 patch cables floating around from an older router, switch or other networking device. Category 5 enhanced cabling, also known as Cat5e, is an improvement on Cat5 cabling. It was made to support 1000 Mbps “gigabit” speeds, so in theory, it’s faster than Cat5. It also cuts down on crosstalk, the interference you can sometimes get between wires inside the cable. Both of these improvements mean you’re more likely to see faster and reliable speed out of Cat5e cabling compared to Cat5. 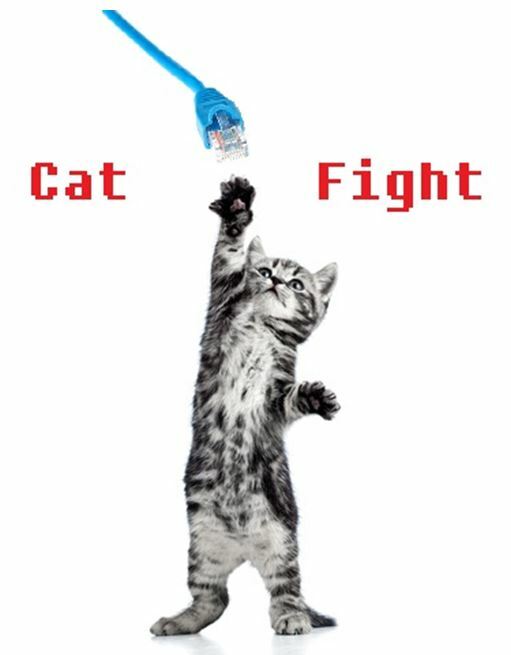 Category 6a is the latest standard in the CAT family. This category is ideal for 10Gbase-T networks, especially for long distance runs. Cat6a doubles the capability of Cat6 by performing at up to 500 MHz, which allows 10GBASE-T to be run over longer distances of up to 328 feet. Both cabling types (Cat6/Cat6a) are backwards compatible with Cat3, Cat5, and Cat5e applications. Ethernet cables are grouped into a numerical sequential categories (CAT) based on different specifications possessed by each cable type. These categories are how we can distinguish what types of cabling we need for a specific application. Manufacturers are required to adhere to these rules and standards which make the installation process easier. 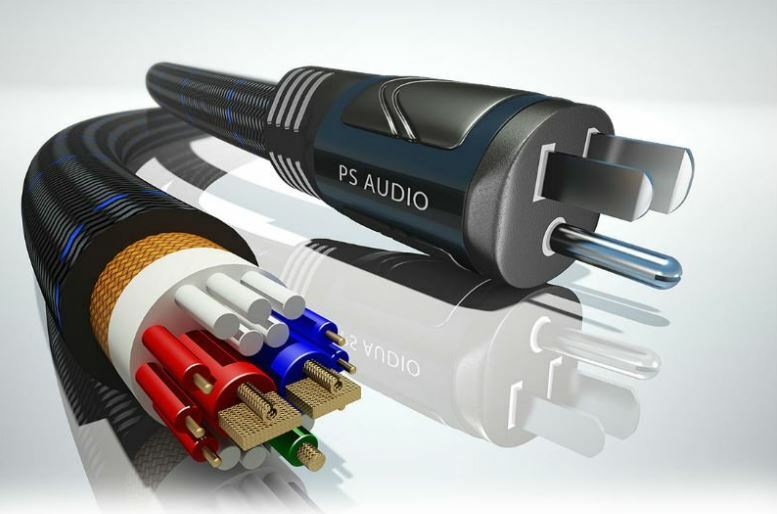 So how does the same physical gauge cable eliminate interference and allow for faster speeds? It does it through wire twisting and isolation. There are two main physical differences between Cat-5 and Cat-6 cables, the number of twists per cm in the wire, and sheath (jacket) thickness. “Cable twisting?” you may ask. Cable twisting was discovered and utilized by Alexander Graham Bell in 1881, for use on telephone wires that were ran alongside power lines. He discovered that by twisting the cable every 3-4 utility poles, it reduced the interference and increased the range. With this knowledge, we have since further advanced this technique. Twisted pair cabling is a type of wiring in which two conductors of a single circuit are twisted together for the purposes of canceling out EMI (electromagnetic interference) from external sources. For example, electromagnetic radiation from unshielded twisted pair (UTP) cables, and crosstalk between neighboring pairs. Twisted pair became the keystone for all Ethernet cables to eliminate interference between internal wires (XT), and external wires (AXT). Bottom line: Siamese and Cat are your winners for analog installations. HD-SDI– This installation type needs to be completed with Siamese Cable only! You cannot use any type of plug & play or category (CAT) cable. HD-SDI technology is usually chosen in the event you want to upgrade your cameras to HD resolutions without the removal/replacement of rewiring costs or you desire the mega pixel resolutions from your cameras without the need of creating a LAN network. Bottom Line: Siamese (RG59/RG6) only. IP Megapixel– This type of cameras can only be designed with data (Cat) cables. Due to high bandwidth caused by the raw data transmissions, I suggest using Cat5e or Cat6 for installation choices. Please be sure to follow all specifications needed in your environment type. 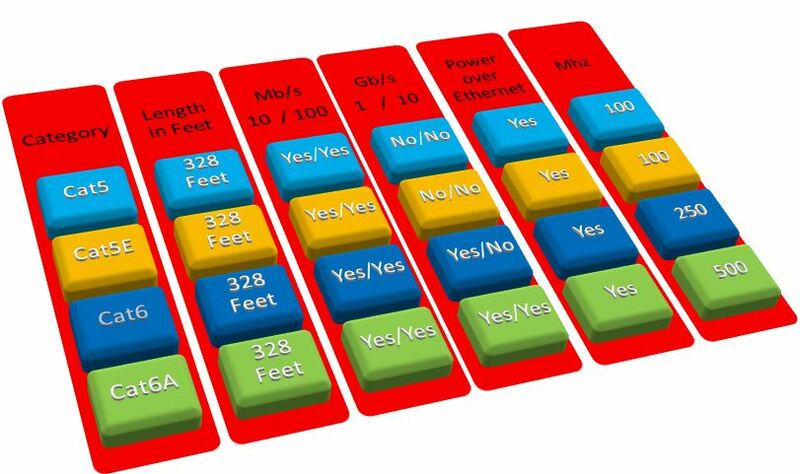 Bottom Line: Cat5e is sufficient enough for each camera under 5MP. If your camera resolution is any higher than 5MP, use Cat6. 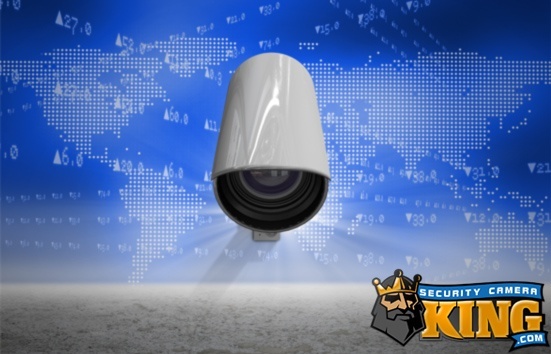 When choosing a new outdoor surveillance security system, there are several questions you should ask yourself. The first consideration is your budget. How much can you spend on an outdoor surveillance system. Surveillance systems fall in a wide range or prices from low to expensive. Once you have figured out your budget, there are basic security equipment you will need. 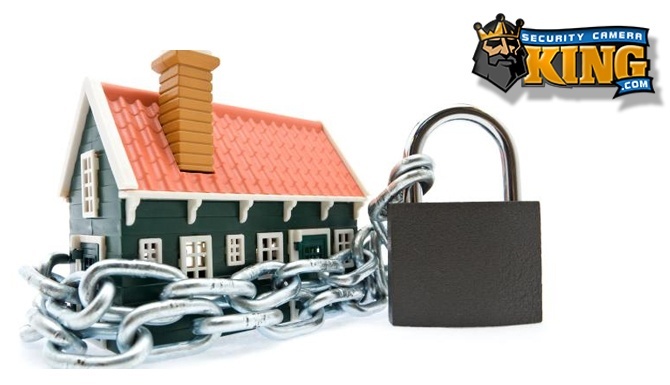 Most home security retail stores offer package deals that include everything you need. These include cameras, DVR and cables. You will have to supply the monitor to view the security images. These can be viewed on your home computer.